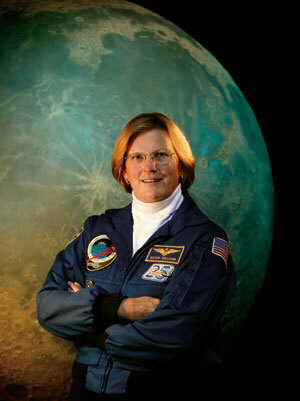 UCSC alumna Kathryn D. Sullivan (Cowell ’73)—the first American woman to walk in space—will be the keynote speaker at UCSC's eighth annual Scholarship Benefit Dinner. Sullivan was nominated by President Obama in December to serve as Assistant Secretary of Commerce for Environmental Observation and Prediction. Alumnus Stephen Abreu will serve as emcee for the gala evening supporting student scholarships. The annual benefit dinner is one of UCSC's premier fundraising events—with proceeds providing significant undergraduate scholarships and fellowships for students to help them attain their fullest academic potential. Many recipients are students who might not otherwise be able to attend the university without this support. For the second year in a row, the gala will be held in Silicon Valley, where UCSC faculty and alumni continue to contribute to the innovative research, educational programs, and cutting-edge technologies that define the Valley. UCSC alumna Kathryn D. Sullivan (Cowell ’73)—the first American woman to walk in space—will be the keynote speaker at the event. Sullivan was nominated by President Obama in December to serve as the Assistant Secretary of Commerce for Environmental Observation and Prediction. The position oversees the National Weather Service and provides policy oversight for National Oceanic and Atmospheric Administration work related to ocean and climate activities. 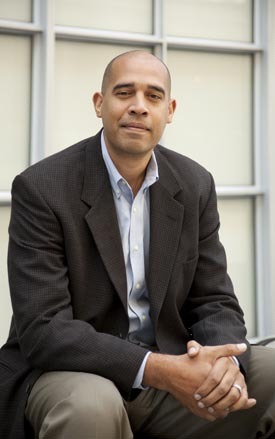 UCSC alumnus Stephen Abreu (Kresge ’99, M.A. ’03) will serve as emcee for the gala evening supporting student scholarships. Abreu is an industry contracts manager for UC San Francisco’s Diabetes Center and Immune Tolerance Network, where his job places him at the crossroads of business and science. Born into a working class family, he came to UCSC on a $10,000 scholarship award created by chancellor emeritus Karl Pister. With a theme of "Launching Bright Futures," the festivities will include a cocktail reception at 6 p.m., followed by dinner at 7 p.m. The public is invited. More students than ever now need financial assistance to attend the university, and in recent years, low and middle income families have been particularly hard-hit by increased costs. Due to the reduction in state support for the University of California, UC fees for an undergraduate California resident are approximately $11,124 for 2011-12. Nearly two-thirds of UC undergraduates received some form of financial assistance in the past academic year. Last year's sold-out Scholarship Benefit Dinner raised over $190,000 for UCSC undergraduate scholarships. The 2011 UCSC Scholarship Benefit Dinner will be held on February 26 at the Fairmont Hotel’s Imperial Ballroom in San Jose. A reception will begin at 6 p.m., followed by dinner at 7 p.m. The public is welcome. Cocktail attire. A complimentary Shuttle Service will be available from Santa Cruz to San Jose. For tickets or more information, contact the UCSC Special Events Office, specialevents@ucsc.edu, go to the Scholarship Benefit Dinner web site (events.ucsc.edu/sbd), or call (831) 459-5003.